I went to the Cherry Blossom Festival on my Mother's birthday. I took three cameras, three lens, phone, Ipod, a coat, gloves, cough drops, water, an umbrella, lunch, wallet, sunglasses, tissues and managed to get it all in my camera backpack. 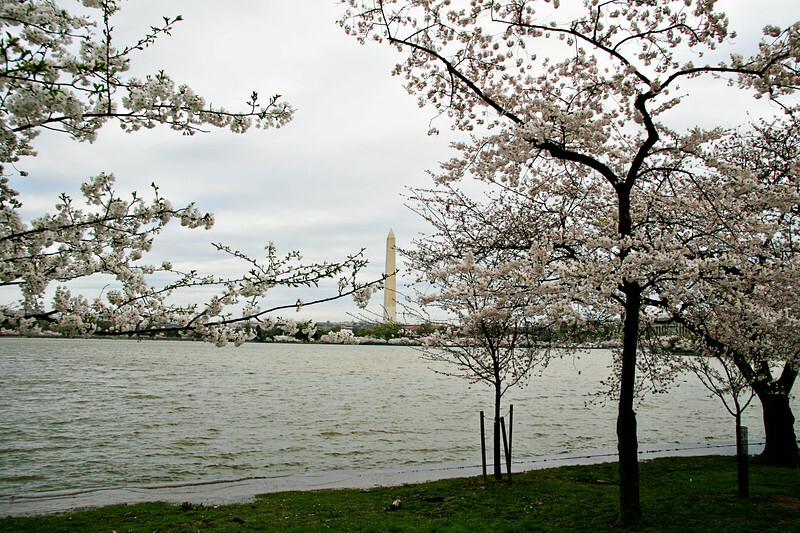 It was a windy almost 50 degree day when I left:) Because of the sprinkling rain, wind, and cool temps I had the tidal basin mostly to myself. By the time I got from parking lot A to the FDR memorial the sun was peaking out from the clouds. By the time I headed out the people were rolling in. It turned out to be a nice day.